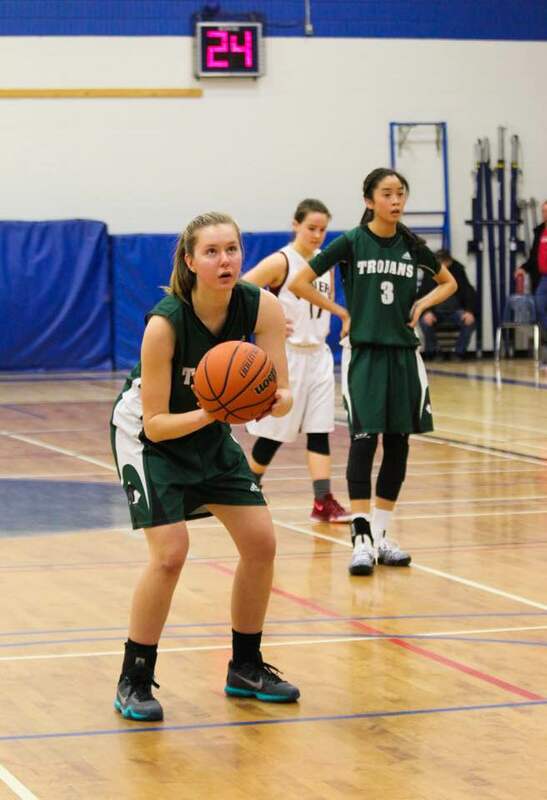 Though she’s just 17, Tania Wallack is pumped and ready to step right in and have an immediate impact with the University of Winnipeg women’s basketball team. Wallack, who is Métis, got a little bit of recent help to assist her with her post-secondary expenses. She was one of 13 athletes to receive a 2002 North American Indigenous Games (NAIG) Legacy Scholarship this year. The scholarships, each worth $600, are presented yearly by the Manitoba Aboriginal Sports and Recreation Council (MASRC). The scholarships are part of the legacy of the 2002 NAIG, which were staged in Winnipeg. The scholarships are presented to graduating Manitoba high school students who have shown athletic leadership. When selecting the recipients, MASRC officials also take into consideration academic marks and community-related activities. Athletes need to apply for the scholarship themselves and write why they would be a deserving recipient. Wallack lives in the small community of Glenlea, but she was commuting to school in Winnipeg, about a 30-minute drive away. She recently completed her Grade 12 studies at Vincent Massey Collegiate. “It was heartwarming knowing I was able to get that money to pursue my schooling,” Wallack said of her MASRC scholarship. Wallack, a 5-foot-10 forward, had generated some interest among American universities earlier in her high school career, but surgery on her left knee to repair a torn ACL,left her wondering what her athletic future would look like. She sustained the injury while she was in Grade 10. Wallack then missed her entire Grade 11 season while recuperating from her surgery. She came back, however, and played this past season. Last fall Wallack also committed to join the University of Winnipeg program, starting this September. Wallack is planning to major in Criminology while in university. Tanya McKay, the head coach of the University of Winnipeg women’s squad, is thrilled Wallack will be joining her team. “She is a hard worker and is driven to be the best she can,” McKay said in a news release after Wallack had publically agreed to join the program. Winnipeg posted an impressive 18-2 regular record during the 2016-17 campaign. The team finished atop the standings in its 17-squad Canada West league. Winnipeg advanced to the league’s Final Four tournament where it ended up placing third. Wallack is confident she can step right in and start contributing to the club in her rookie season since the squad will have some holes to fill. Wallack, who also played for Manitoba’s provincial under-15 team in 2013 and ’14, has attended many games at the university and is fond of the program. During her application for the MASRC scholarship, Wallack wrote about how she overcame her knee surgery. No doubt another plus for her is the fact she has volunteered at MASRC youth basketball camps in each of the past two years. Wallack also played club volleyball for six years. Though she stopped playing at the club level two years ago, Wallack continued to play for her high school team, including this past season. Meanwhile, the list of other athletes awarded MASRC scholarships included four Winnipeg residents. They are Hailey Yuskin, Preslee Munroe, Roxane Desrochers and Troy Kemball. Yuskin is a softball player while the other three were recognized for their multi-sport endeavors. Other multi-sport winners were Adam Thompson (Roseau River First Nation), Antonina Kandiurin (Churchill), Brielle Cara (Stonewall), Brittany Wood (Wasagamack First Nation), Bryanne Bates-Ewanyshyn (Gilbert Plains), Dana Tutcho-Ruben (Emerson), Eugene Chubb (God’s Lake First Nation) and Sage Handel (St. Theresa Point First Nation). Besides Wallack, other basketball players honored were Alex Okemow (God’s Lake First Nation) and Hailey McKay (Thompson). volleyball recipients were Ashley Schultz (Alonsa) and Tristan Webb (Fisher Branch). A pair of Manitoba residents received MASRC coaching scholarships. The recipients were both ringette coaches – Emilie Roy from Ste. Agathe and Winnipeg’s Meagan Halak. The coaching scholarships were also worth $600 each. They are awarded annually to a pair of Aboriginal coaches in the province, in part to those who have demonstrated outstanding leadership in the amateur sports community.